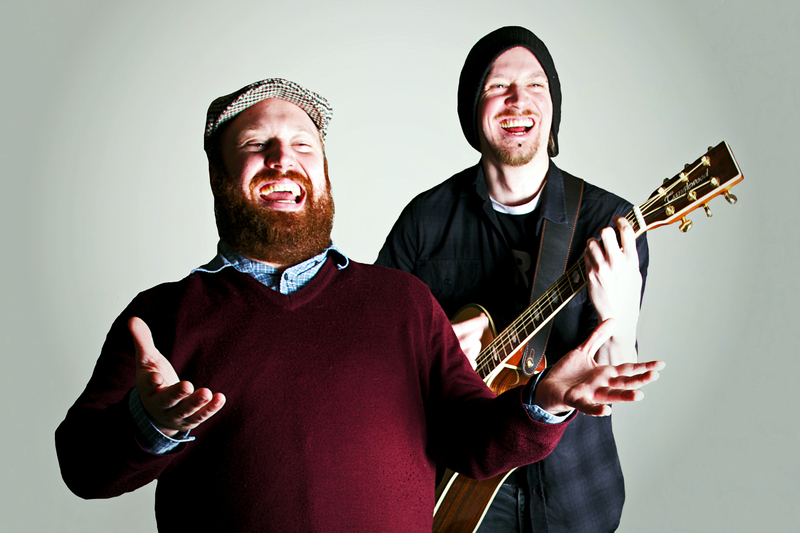 Musical satirists and socialist comedic geniuses Jonny & The Baptists begin their latest UK tour next month, as their 2016 Edinburgh Fringe show Eat the Poor visits 37 towns and cities across 50 dates. With its Les Mis inspired mini-revolution and some truly disgusting cake based antics from Donahoe, the pair shine brighter than ever before (so said TVO in our Fringe Postscript), and we’re very excited to see this hotly tipped duo making waves across the land. Indeed, several dates have already sold out, and others are very close to following suit, so if you fancy seeing two amazing performers at the top of their game, book your tickets now. For a full list of dates, see below, but first, here’s a freshly prepared interview with Jonny & Paddy for your perusal. And if you like what you see, the demo album featuring early versions of tracks featured in Eat the Poor is available on Bandcamp now, alongside the band’s previous recordings over yonder.